The window has all but closed on Eastern Washington’s chances of completing its football schedule against a Division I opponent. On the bright side, the Eagles are all but guaranteed to play five home games this year. Like a game of musical chairs, the field narrowed further over the weekend as Big Sky Conference rival Sacramento State is close to signing a deal to host NAIA school Saint Francis of Illinois on Sept. 1. That leaves the Eagles as one of three Football Championship Subdivision schools without a complete schedule for this fall. The others are Mississippi Valley State and Hampton. MVSU is already booked for Eastern’s open dates on Sept. 1 and Oct. 20; Hampton, located in Virginia, is playing Division II Shaw on Sept. 2, but still has an opening on Oct. 20. Two other FCS schools, Presbyterian and Southern, are sticking to 10-game schedules. Assuming that a cross-country trip would be cost-prohibitive for EWU or Hampton, that means the Eagles will be hosting a DII or NAIA team, preferably on Sept. 1. However, it’s unclear how many lower-tier schools have suitable open dates. Meanwhile, all FBS schools have filled their schedules. Playing a lower-tier team will hurt Eastern’s strength of schedule, meaning that the Eagles will need to win a minimum of seven out of their 10 remaining games. Even that might not be enough; last year, Eastern went 7-4 against an all-Division I schedule, yet were left out of the 24-team FCS playoff field. Interim athletic director Lynn Hickey said she has been working on the problem since February. Several sources have told The Spokesman-Review that EWU and Sac State were in discussions to play a non-conference game on Sept. 1, but couldn’t agree on a site. Eastern already has a non-conference game against Big Sky team Northern Arizona on Sept. 8. It’s unusual, but Eastern has recently hosted lower-tier opponents. 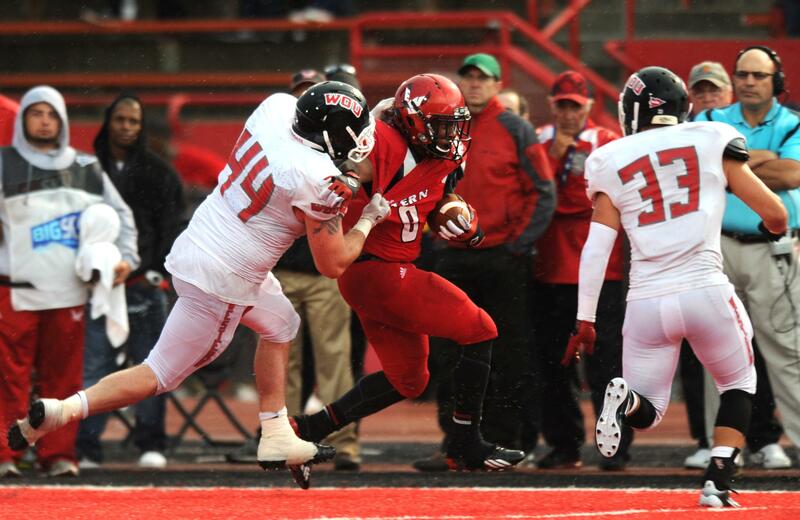 In 2014, the Eagles beat visiting Montana Western 41-9. A year earlier they beat D2 Western Oregon in Cheney, 43-14. Published: April 16, 2018, 11:42 a.m. Updated: April 16, 2018, 1:40 p.m.